Thomas Scully has worked as a workers’ compensation attorney for over 20 years. Mr. Scully has devoted his legal practice to workers’ compensation and is a renowned specialist in the field. He received his undergraduate degree from the University of Albany and his law degree from St. Thomas School of Law. Mr. Scully is recognized as one of Florida’s most respected and talented workers compensation attorneys. For the past 12 years, he worked in-house for a major Florida workers compensation carrier as a trial and appellate attorney. Mr. Scully has spoken on numerous workers’ compensation topics at over 100 seminars in the State of Florida. 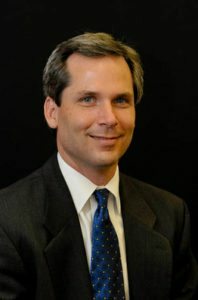 He has successfully argued numerous cases and appeals including oral arguments before the 1st District Court of Appeals. In his spare time, Mr. Scully is on the Board of Directors of the non-profit organization, Care2Tri, which promotes the inclusion of differently abled persons in triathlons and other running events.